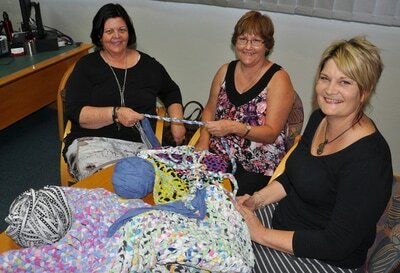 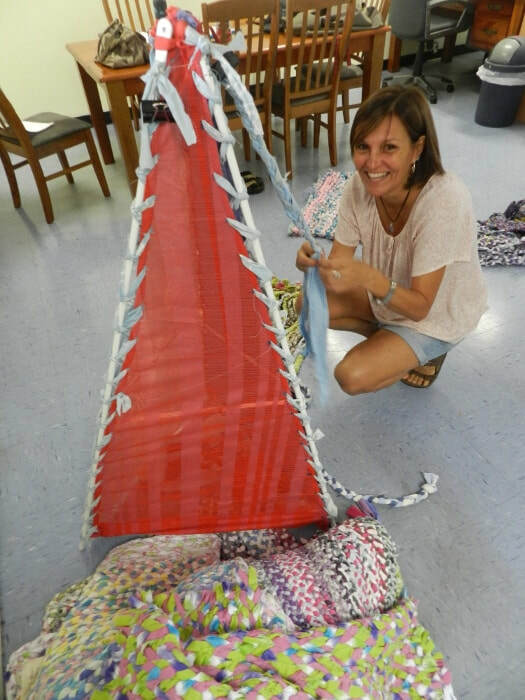 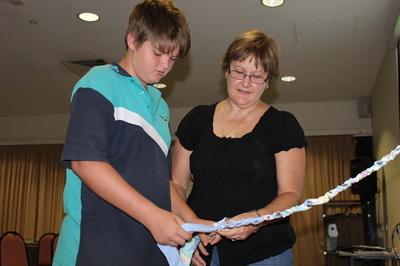 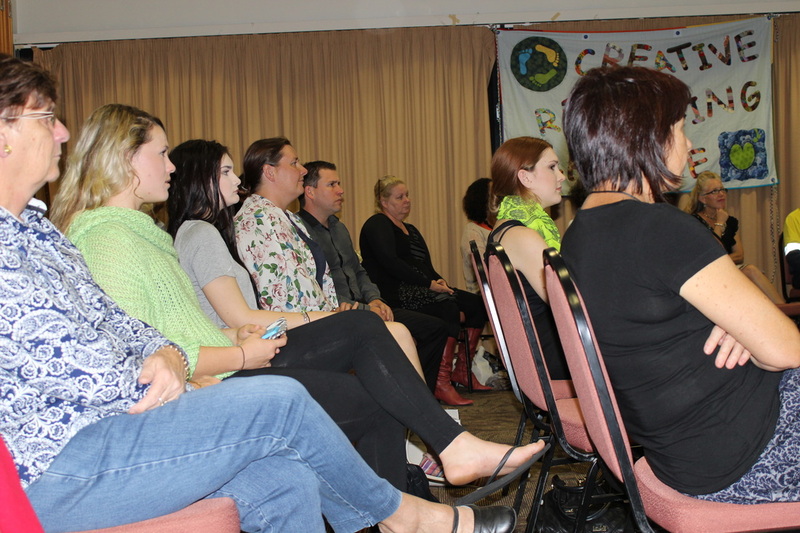 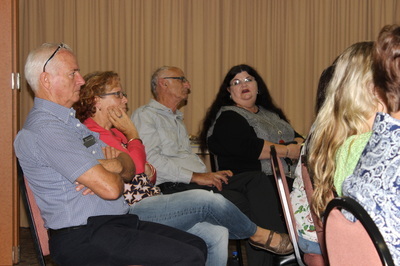 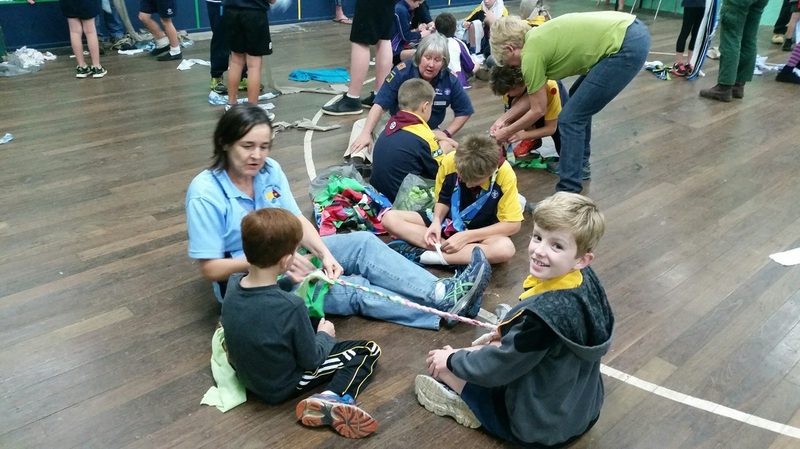 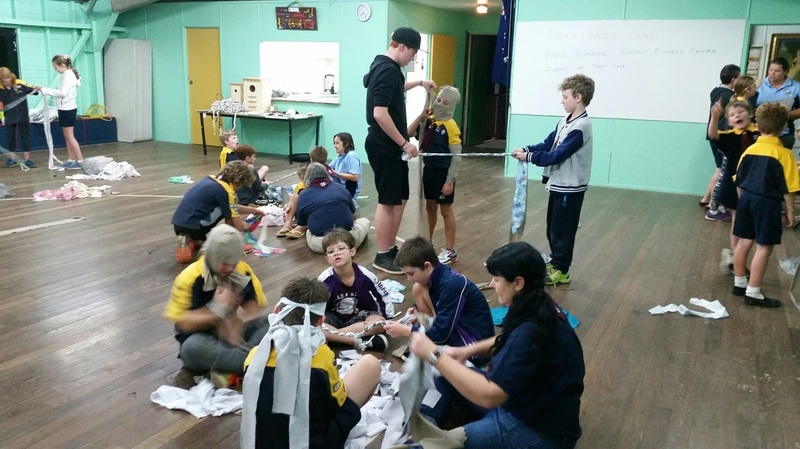 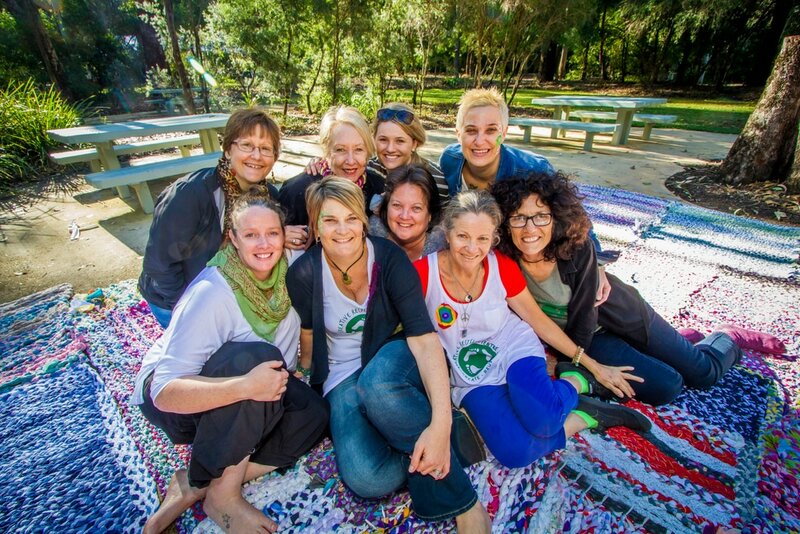 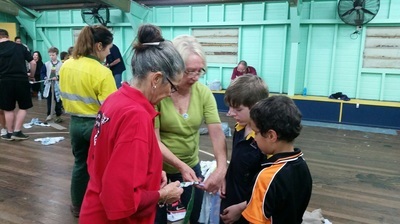 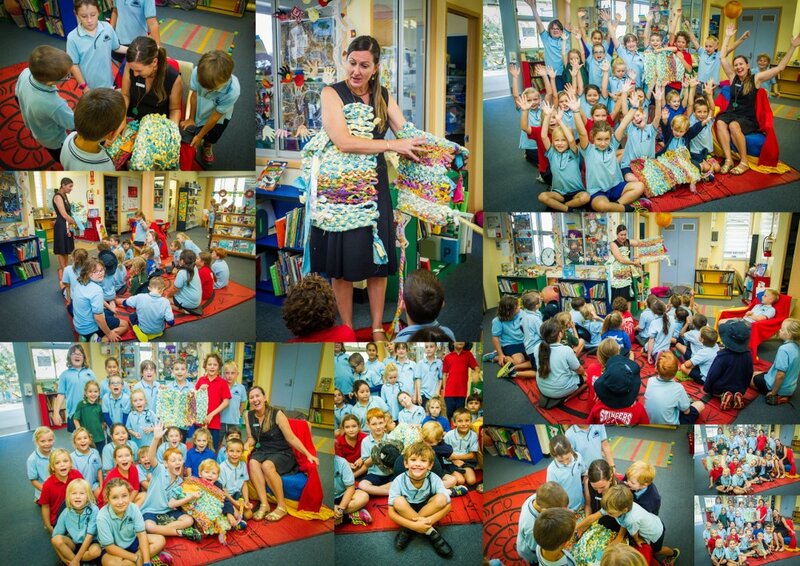 The Creative Recycling Centre launched their first major community venture, The Recycled Rag Rug Project, in partnership with Gladstone Midday Rotary, in April 2015 . 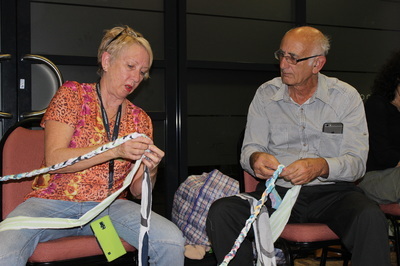 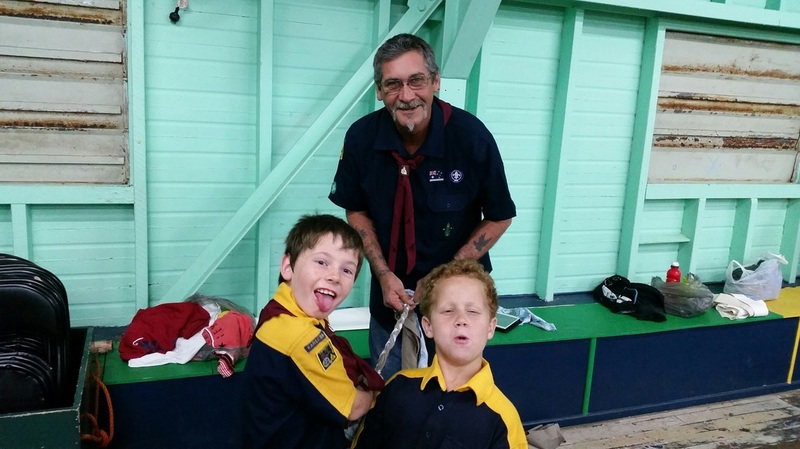 CRC created this project to engage people of all ages and abilities, from all sectors of the community to show case recycling in a fun, easy and artistic way. The project was a demonstration of what can be done with recycled materials, and saw schools, community groups and individuals plaiting donated materials into simple 1 metre square panels. 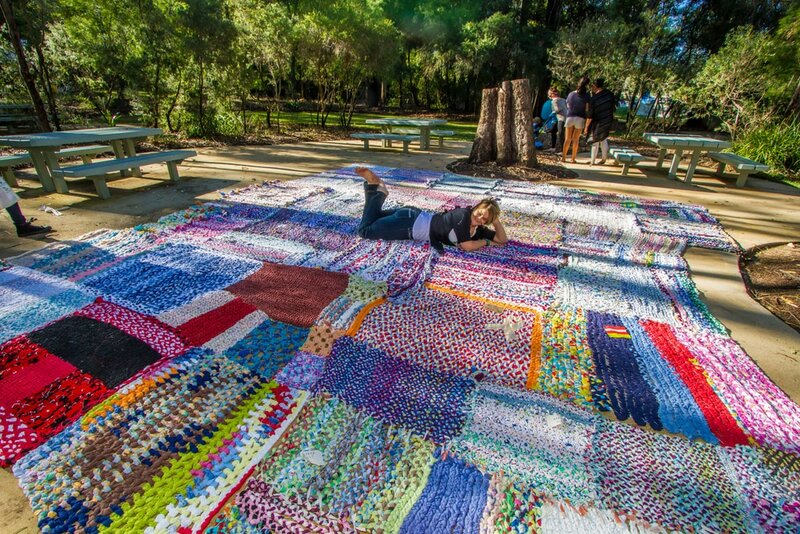 These panels were then sewn together to create a massive 85 kg, 36 square metre recycled rag rug. 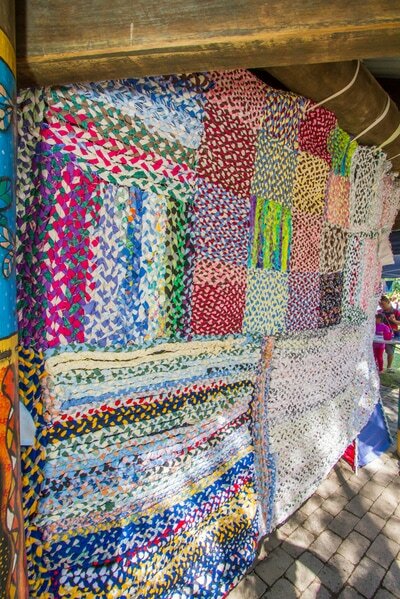 It measures 12 by 18 metres and is made from 100% recycled fabrics - including old sheets and tshirts. 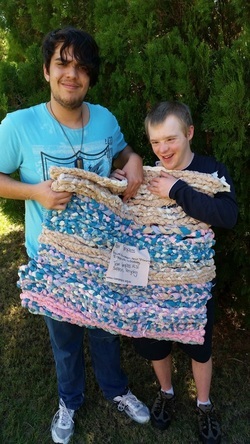 This rug not only showcases our community spirit but also highlights the amount of recycled material waste that would have gone into landfill. The run was unveiled at Ecofest 2016. 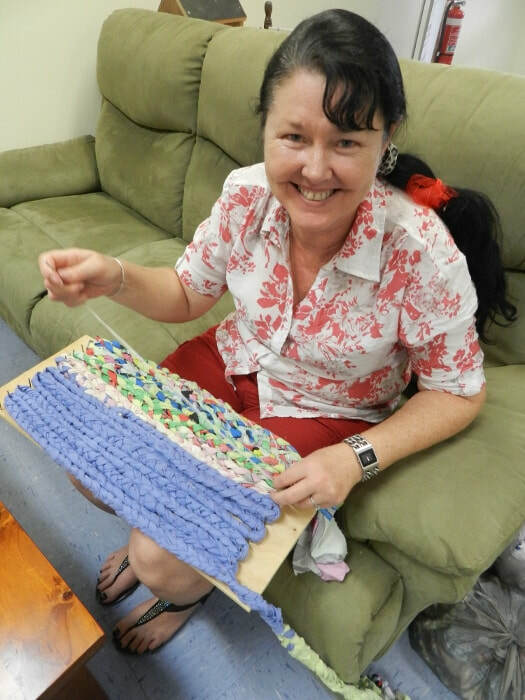 Making the rug took 500 pairs of hands over 700 hours to complete. Each panel contains 70 meters of plaited fabric. 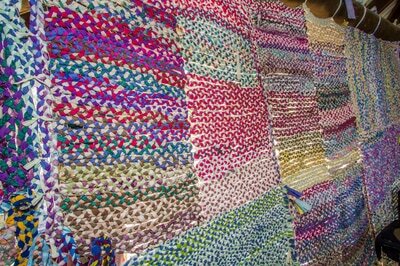 The whole rug contains 2.52km of plaited fabric - which is made up of 7.56 km of torn materials. 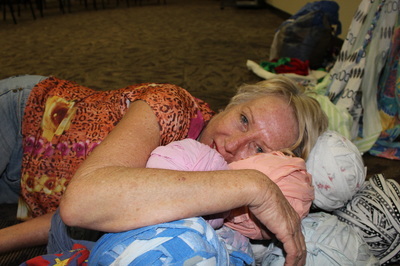 Many community groups took part, including Agnes Water Quilters & Textiles Group, Agnes Water State School, Clinton Girl Guides, Communities for Children, Gladstone Aquatic Therapy , Cool Kids West School, Gladstone Community Linking Agency, Gladstone PCYC, Gladstone South State School, Kareeba Cubs Gladstone, Port Curtis Day Respite Centre, Rotary Gladstone Sunrise, The Gladstone Compass Group and Welcoming Intercultural Neighbours (WIN). 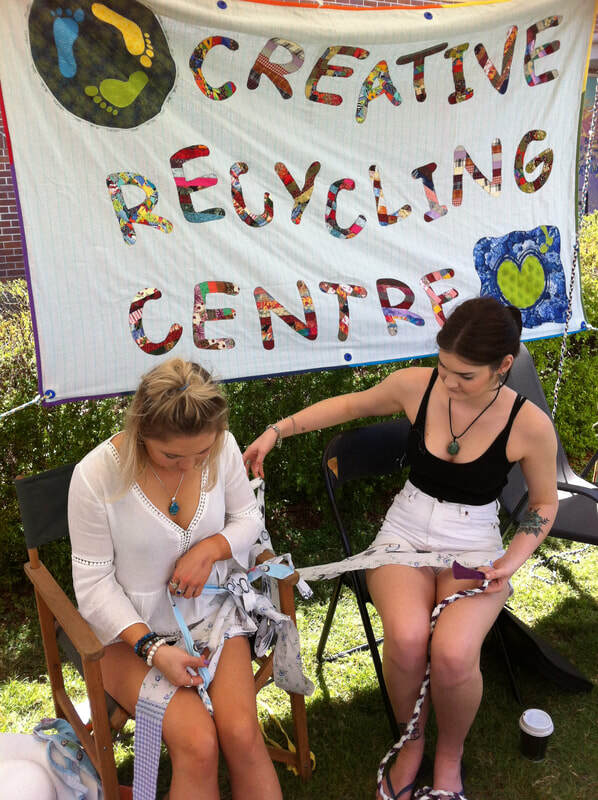 We extend a HUGE thank you to everyone who was involved, this project spread the word about clever ways to reuse resources and proved that collectively as a community we can achieve great things.